Will Tweaking Windows 8 Be Enough To Revive The PC? : All Tech Considered When Microsoft introduced Windows 8 last year, the software giant billed the new operating system as one of the most critical releases in its history. The system would bridge the gap between personal computers and the fast-growing mobile world of tablets and smartphones. But this week, the company sent signals that it might soon alter Windows 8 to address some early criticism. Microsoft's Windows 8 operating system was criticized when it was released last year for features some said didn't mesh with a desktop PC environment. The company has indicated that it will address some of those issues in an upcoming update. When Microsoft introduced Windows 8 last year, the software giant billed the new operating system as one of the most critical releases in its history. The system would bridge the gap between personal computers and the fast-growing mobile world of tablets and smartphones. But this week, the company sent signals that it might soon alter Windows 8 to address some early criticism of the operating system. In an interview with the Financial Times, Tami Reller, head of marketing and finance for the Windows business, said "key elements" of the flagship product will be changed and rolled back when the company releases an update — which was code named Blue — later this year. 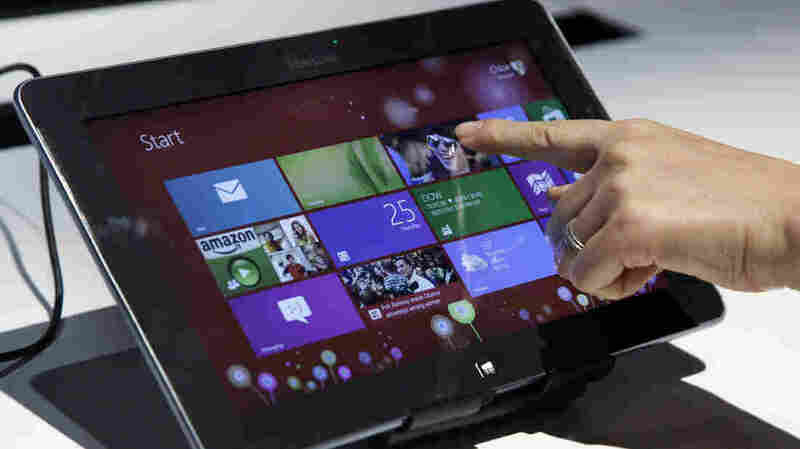 The Financial Times played this as a major concession, calling it a "U-turn," and implied that Microsoft was backing away from the touch-centric user interface that really defined the new operating system and was supposed to take the company into the next generation of computing to help it compete in a world that's in love with the tablet. Analysts compared the apparent turnaround to the New Coke debacle in the 1980s, and within hours Microsoft issued a statement saying the FT got the story wrong. Clearly this wasn't the story Microsoft was trying to tell. It wanted to trumpet the fact that more than 100 million copies of this operating system had been sold. That's a big, impressive number, but it comes at a time when PC sales are falling and some manufacturers are blaming Microsoft for that. Windows 8 has been criticized by many who found the software's new touch-centric user interface difficult to navigate on a desktop. Microsoft has been trying to respond to those critics, and it's likely some key features — like the start button — that disappeared from Windows 8 will be back. The next update is certain to make this latest version of windows more familiar and easier to use on a desktop. Microsoft says it will release that update to developers this June. Microsoft isn't backing away from tablets, however, and this software's touch interface isn't going to disappear. In fact, the update will also feature changes that the company says will make the operating system easier to use on smaller tablets. Apple CEO Tim Cook famously compared Microsoft's attempt to create one OS for both desktops and tablets to trying to merge a refrigerator and a toaster. Obviously, a tablet and a PC are pretty different, and people use them differently. Microsoft expected its tablets to be an attractive alternative to an iPad, for executives and road warriors who wanted something that worked for movies and books or on a plane, but also had all the tools to do real work. The bigger problem for Microsoft is that more and more people are wondering why they need a desktop PC in the first place. Most of what you need a desktop PC for, you can do pretty well on a tablet: Answering email, surfing the Web and even writing or mixing a radio story are all things you could do on an iPad. Desktop PCs and laptops are generally still much more powerful machines than a tablet. Many of us have computers that 20 years ago would have passed for supercomputers. They are powerful enough to run facial recognition programs or produce animated movies, but we're just using them to do mundane things on the Internet. There hasn't been a boom in creative software that would inspire people to buy these machines, except in high-end gaming. For many people who buy them, though, they just kind of sit there and their potential goes largely untapped. Microsoft has tried to address that with the creation of the Windows Store, but there aren't as many apps there yet as the company originally hoped. They also are not really the kinds of programs that set a PC apart. If Microsoft is to reclaim its former glory, it needs a healthy developer ecosystem that helps answer this question: What can I do with a PC that I just can't on a tablet?